Shot this morning. 35 deg and sunshine for a change. That's some nice shooting Art! Great shooting. What velocity are you getting with the Varget? Art, that flier really screwed that group up. But that is some fine shooting even with the flier. Looking for the neighborhood of 2850. I know. .5 low for the clean cold bore shot. Bad guy didn't notice the difference I can assure you. Ten shots, pretty impressive. As my mentor says, "one shot may be luck, two a coincidence, three is a group". Ten certainly tells a story. Thanks, my accepted theory to boot. Thanks. I am starting to run low on my factor Hornady match ammo (140 gr BTHP match and ELD Match. Also shot the 147 ELD match for longer distances (600 yds) but the group dispersion has not been consistent. So I need to start looking for some data for reloading and I have a quantity of Varget on hand. 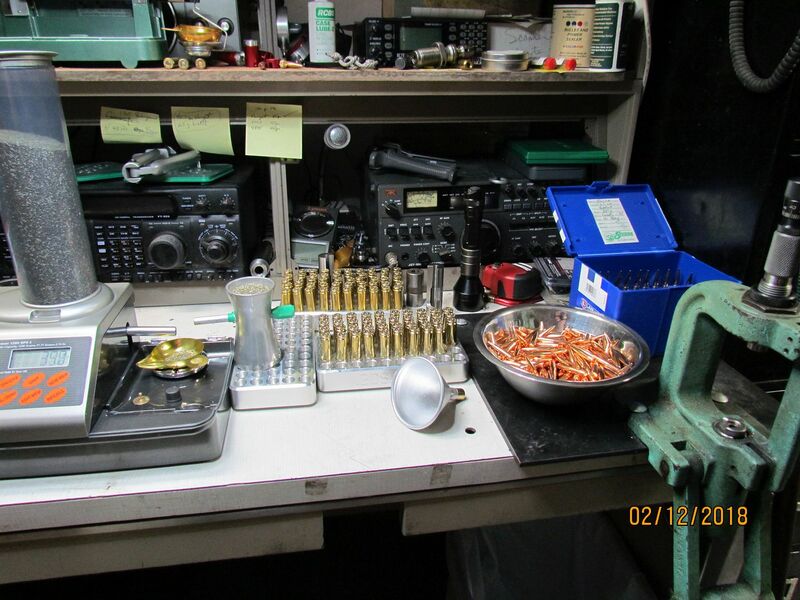 Starting with good bullets and brass sure helps. 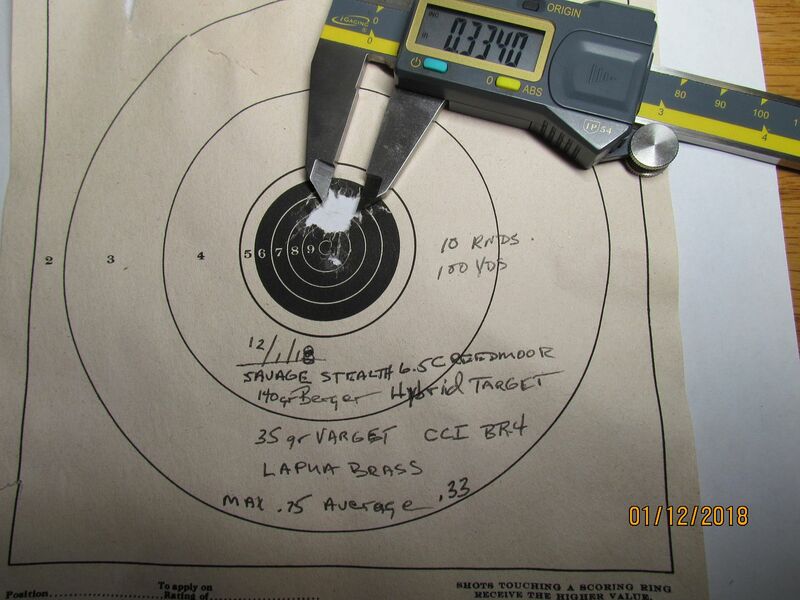 140 gr 6.5 Berger Hybrid Target. Loaded up a few hundred today. 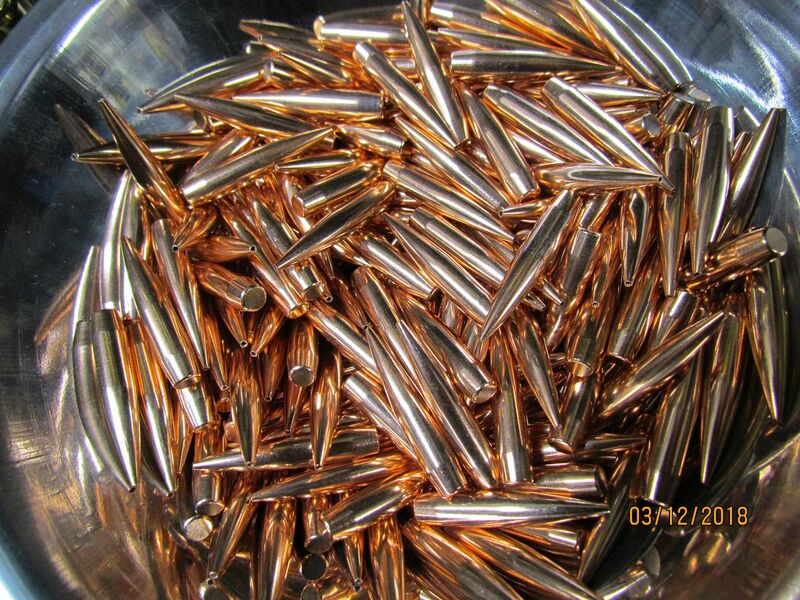 Lapua brass, BR-4 primers, 35 gr Varget. My eyes are tired but bullets are still pretty to look at.